Pinedale is rich with beautiful facilities that accommodated this multifaceted event. White Pine Ski Resort welcomed the Alpine skiers; the extensive system of fabulous groomed nordic trails invited nordic, snowshoe and fat bike activities; the Sublette County Ice Arena welcomed the skaters; and the Pinedale Aquatic Center was headquarters for registration, hospitality, pickleball, swimming, and walking. Rendezvous Pointe, our Senior Center, was the perfect location for our culminating banquet, entertainment and guest speaker. None of this could have happened without the incredible “buy in” from the local community. It started way last fall with a dedicated team of volunteers who were the “committee.” Countless hours went into making the plan, publicizing, registering, finalizing event details, gathering supplies (and more volunteers), and then welcoming participants for 3 non-stop days. And, you guessed it, there was an amazing group of folks who stepped up to make it happen at each and every event. These community volunteers assisted with registration and hospitality at PAC. They timed walkers and swimmers. They organized medals. They replenished the hospitality items. Some folks dawned their many layers of warm clothing to stand in the extreme cold to time the outdoor events. Others stayed late after the closing banquet, after everyone else had gone home, to clean-up Rendezvous Pointe. It was because of all these folks “in the trenches,” that we had a very successful event. Local sponsorships, both financial and in-kind, came from Rocky Mountain Bank, Pinedale Travel and Tourism, Rendezvous Pointe, Sublette Center and Aspen Grove Apartments, Tegeler and Associates, the Best Western, White Pine Ski Resort, and the Pinedale Aquatic Center. Without a doubt, it is people working with people, asking “what can I do?” that creates a quality event. And, more importantly, it creates a quality community….one, I am truly glad to be part of. But, wait! I sent this to the WRPA community as a newsworthy article….why? Because, as many of you know, Pinedale does not have a recreation department, either town or county, to oversee events such as described above. And, it IS notable a team of (simply) volunteers were organized to facilitate the never ending list of little details that must be accomplished before, during and after the games. The dedication of individuals in a community, that in spite of their “day jobs,” or retirement status, still CHOOSE to make it happen. Noteworthy. And, most importantly, one of WRPA’s committed members went above and beyond (and has for years) to see that the games were a success. That place was the PINEDALE AQUATIC CENTER. I am proud of this professional organization and its investment in the community it serves. 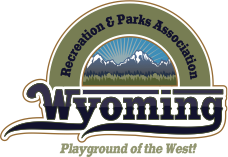 It stands tall as an example of what the Wyoming Recreation and Parks Association stands for. May the delivery of recreation and leisure services in our communities always be a priority, regardless of our unique constraints and in whatever capacity we find ourselves. We serve.